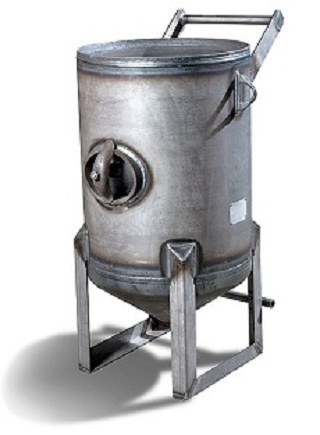 LaGrange Products has produced a wide variety of abrasive blasting vessels for a number of industries over the years, and can be depended upon to satisfy your particular OEM applications. Abrasive blasting consists of directing a stream of compressed air and abrasive material against a surface to smooth, roughen or shape it. The process is also used to remove exterior dirt, rust and other undesirable elements. Generally, there are two methods of applying the abrasive substance; dry and wet. Dry applications involve a pressurized vessel containing an abrasive media, which controls its flow into a compressed air stream. In wet blasting, the abrasive material is added to a pressurized stream of water or other liquid. Numerous abrasives may be used in the process such as aluminum oxide, glass beads, steel shot, metal pellets and soda powders.